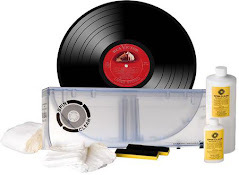 We have our winners in the SoundStageDirect.com "In The Groove" record cleaning contest. Thanks to all who have entered and I certainly hope to add more contests in the coming months. The winners are Chris C. from Washington IL and Shawn S. from Cedar Rapids, Iowa. Look for my review of the product coming soon! Thanks to all who entered and continue to stop by the CVR blog, I am humbled and amazed that more than 1 million people have stopped by! VINYLDIG.COM is an auction website created to provide an online record sales community for vinyl record collectors from the casual fan to the dedicated audiophile. 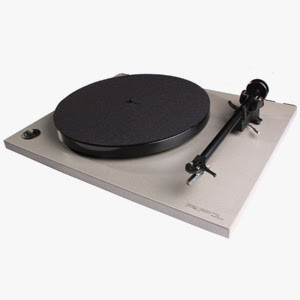 Our goal with this website is to start small, and build it to the #1 community of vinyl record enthusiasts. Show them some support from the CVR followers! Prior to becoming a full-time Beach Boy and well before he wrote the song that made the whole world sing, Bruce Johnston was a key member of the West Coast music scene. In 1959, while still in high school, Johnston played piano on friend Sandy Nelson's hit single, "Teenbeat." This opportunity kicked off an incredibly prolific period for the young musician. Johnston recorded under his own name as well as many group names, playing with the cream of the California session personnel, The Wrecking Crew. He also made records with his friend Terry Melcher until Melcher moved on to pursue record producing full time. 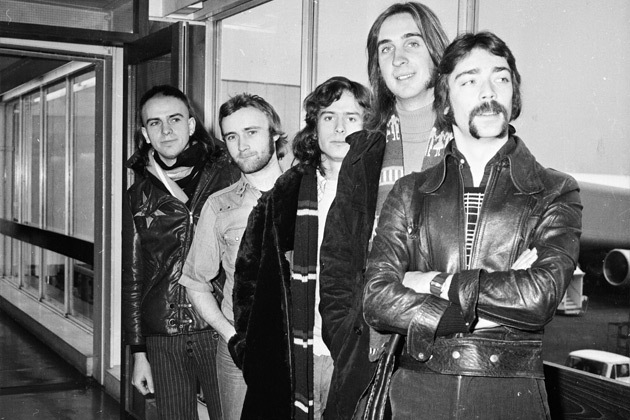 Johnston was producing as well but saw no reason to stop his musical pursuits. Songwriter, vocalist, producer, session musician—if the surf and hot rod scene had a renaissance man, surely it was Bruce Johnston. By 1964, Johnston was already a proven veteran. Following up the success of The Rip Chords collaboration with Melcher and its hit single "Hey Little Cobra," Johnston revved up The Kustom Kings. 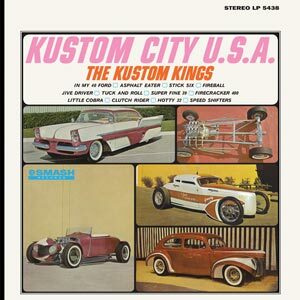 With a mission statement "to present the most authentic hot rod album on the market," the Kustom City U.S.A. album brought together an all-star team. Bruce Johnston wrote and co-wrote much of the LP's material, as did producer/arranger/saxophonist Steve Douglas. Rounding out the band were guitarists Tommy Tedesco and Glen Campbell, Ray Pohlmann on bass, Jay Migliori on second sax and Hal Blaine on drums—WOW! For added authenticity, car designer George Barris, "THE KING OF THE KUSTOMIZERS," jumped on board as a special adviser. He, along with several of his rolling works of art, is pictured on the album's artwork. Looking at the full-color front cover slick, you can practically smell the burning rubber and fresh coats of paint! The too-cool visuals are just a bonus, however, because the REAL story is the music! A hi-octane mix of vocal tracks and charging instrumentals, there is not a second of filler to be found among the twelve tracks. Tedesco and Campbell lock in gripping guitar duels while Douglas and Migliori wail over the timing belt beat of Blaine and Pohlmann. Johnston contributes superb vocal and piano work and together, the Kustom Kings jam the accelerator down to floorboard! An album this magnificent should have ruled the charts, but things were moving quickly in 1964 and the public's attention soon turned elsewhere. Through the ensuing years, word of Kustom City U.S.A. and its brilliance spread through the collector scene, with copies of the LP changing hands for considerable sums. And now, just when you thought the tank was on E, Sundazed roars in with a maniacally marvelous reissue! Sourced from the original stereo masters, Kustom City, U.S.A. has been tuned up and restored to showroom condition.